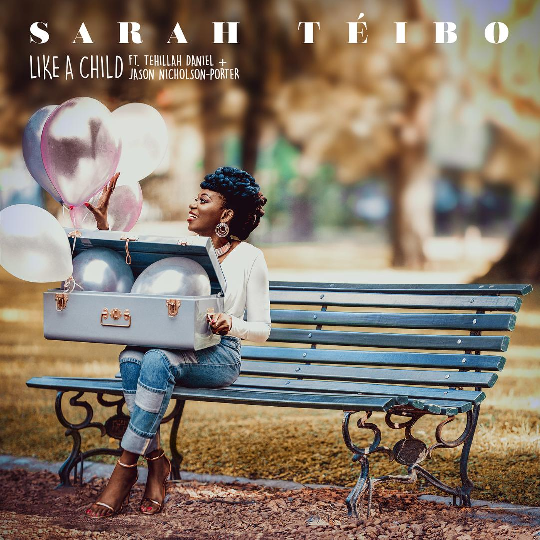 Multi award-winning Gospel singer/songwriter SARAH TÉIBO‘s latest single ‘Like A Child’ encourages each and every one of us to fully embrace the inner child and leave your cares and woes to the big man above. ‘Like A Child’ is the lead single off her highly anticipated sophomore album ‘Keep Walking’ due for release this summer. Sporting a real smooth urban R&B drive, ‘Like A Child’ was written by Sarah with producer Luke (GKID) Grant, who produced Britain’s Got Talent 2015 semi-finalist Sakyi Four’s R&B/Afrobeat offering, ‘Simmer Down’. The four-minute production features the spine-tingling harmonies from one of UK’s promising singers, Tehillah Daniel and The Voice UK’s 2018 current contestant Jason Nicholson-Porter. Sarah grew up in Nigeria where she started singing in choirs from the age of ten, citing Soul and R&B legends including Stevie Wonder, Marvin Gaye and Kim Burrell as major influences. In recent years, the London-born songstress is rapidly becoming the most-sought after musician in the UK’s Gospel circuit, following the release of her debut album ‘Walk With Me’ in 2016. She was nominated Best Gospel Act by MOBO Awards in the same year and won best album for her debut album at Premier Gospel Awards in 2017. ’Like A Child’ is now available on all digital music platforms, including iTunes, Spotify and Amazon. Check it out below – not to be missed!